Hello and welcome to this month’s post on leading a virtual team. In this post (cross-posted here) the two of us, that is Martin Hawksey (@mhawksey) and Maren Deepwell (@marendeepwell), continue our series of openly sharing our approach to leadership. 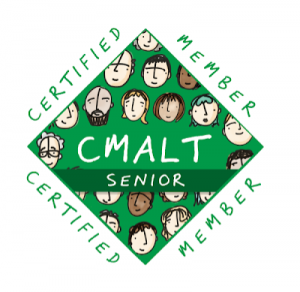 If you are new here, you can catch up on earlier posts and podcasts or find out more about ALT, the organisation we work for as senior staff. We really appreciate comments and feedback and welcome questions or suggestions for future posts. Maren: this month I’m keen to pick up on a couple of things we started talking about in the last podcast, talk about all things open as we get ready for OER19 and also discuss a book you recommended, Invisible Women. It’s an awesome read full of interesting facts and laugh out loud moments (car manufacturers’ advice to lower my voice to help AIs understand my ‘atypical’ high female voice made me giggle it seemed so ludicrous) and there are many things that really chimed with me in the context of this series on open practice, starting with how important it is for women & men to each contribute their perspective to policy, research and practice equally. The joint keynote we wrote for International Women’s Day at UHI is a good example of this – neither one of us could have written the talk on their own. It’s the open collaboration, the dialogue, that produces deeper insights. Gender data gaps discussed in the book provide countless examples of where that kind of dialogue is lacking from workplace practices (biases in recruitment software) to disaster relief (male only committees designing shelters without cooking spaces). Another point the book prompted me to reflect on is how important transparency and openness are for promoting equality. There are countless examples of complex technologies, especially AIs, that are proprietary and don’t permit us to investigate potentially biases much less address them. The two overarching thoughts I took from the book are that firstly, in one way or another, women, and by extension anyone who doesn’t fit the ‘template’ is made to adjust in order to fit – even if changing the underlying policies/design/structures would have bigger benefits for all. And secondly, how we always prioritise something else, focus on the next crisis, instead of focusing on gender equality ‘because we see the rights of 50% of the population as a minority interest’. “Fit” implies that your organization seeks to indoctrinate new members into its specific way of life—to clone its vision of the ideal member in everyone who joins it. When we talk about “fit” we create the potential for exclusion. It prompts us to seek someone who already embodies the values and principles we think are best (then seek to “fit” them into a pre-existing spot in our organizations), and ignore others. Achieving “alignment,” however, is different. Alignment involves embracing diversity of thought and building inclusive, innovative, community-driven teams that are all oriented toward shared goals, even if they look and think differently from one another. In open organizations, transparency reigns. As much as possible (and advisable) under applicable laws, open organizations work to make their data and other materials easily accessible to both internal and external participants; they are open for any member to review them when necessary (see also inclusivity). Decisions are transparent to the extent that everyone affected by them understands the processes and arguments that led to them; they are open to assessment (see also collaboration). Work is transparent to the extent that anyone can monitor and assess a project’s progress throughout its development; it is open to observation and potential revision if necessary (see also adaptability). I feel to our members and the general public that our operations are very transparent (our joint posts being a case in point). In terms of our distributed team it feels like more effort is required to be transparent, as in “to the extent that anyone can monitor and assess a project’s progress throughout its development”, than if we were all physically in the same office. We’ve previously talked about the challenges of virtual operations and the removal of some of the affordances of being physically co-located. Even though we are over 12 months into our move to operating as a distributed team this feels like one of the areas where we have the most continued evolution in our systems and procedures. This is also an interesting time as our staff team will have a number of new faces and I’m interested to see how candidates align to ALT’s values. Maren: I like the concept of ‘alignment’ instead of ‘fit’ and it is a useful way of thinking during recruitment in particular. But whilst I found the open org manual really useful, its perspective comes from open source/software companies. In our context, in a small charity with a wide breadth of projects it’s harder to make the kind of internal ‘joined-up-ness’ work for everyone than when you are all focused on making a product shipping deadline. There’s a balance to be struck between enabling individuals to get on with their work and effective team communication. And it can be hard to determine how much information is actually useful and why. For instance, I’m finding it rewarding to develop and improve our internal processes for reporting, budgets and project overviews. It’s part of the ongoing effort you refer to helping us as a team work together even better. Like you, I have a lot of enthusiasm for an iterative approach to designing processes. That said, I’m also acutely aware that any change requires time and effort that would not be needed if we just kept doing things the same way. It’s a big ask (and one that requires a strong common understanding of the reasons behind it) to spend time and energy changing things when there’s so much to be getting with. Especially when things don’t look ‘broken’ but still need ‘fixing’ to avoid disaster in the long run it can be a hard argument to make. As well as requiring time and effort, changing internal processes can also temporarily rob us of the comfort and confidence that comes with familiarity. Which leads me to reflect on what alternative sources of comfort I turn to when uncertainty and change are a constant. One example of what I do is to look beyond a period or process of change, and thinking ahead to what things might look like 3 months into the future or a year ahead. And it can be useful to do that as a team as well to create a greater measure of the kind of transparency you speak about. Here’s one such approach, similar to a SWOT analysis, that I found interesting and maybe we can try something like this at our next team day in April. Martin: Your comment on things that “don’t look ‘broken’ but still need ‘fixing’” made me smile. I’ve some wooden decking at home that falls into that category thanks to some rot, but I get we are talking about something very different here. Having recently gone through my annual appraisal thinking ahead is still fresh in my mind. It’s interesting to reflect on personal goals and I can also see the benefit of exploring and articulating team goals. As often with these collaborative posts they are an opportunity for me to start googling for answers to questions that pop into my mind. Something I started wondering was the impact of churn as staff move on and new faces join virtual teams. I didn’t find anything in particular that talks about this and I suppose the stronger influencer in this instance is less on whether or not you are dealing with a virtual team but the size of the team you are dealing with. As part of my search Google Books did throw up ‘Leading Effective Virtual Teams: Overcoming Time and Distance to Achieve Exceptional Results’ by Nancy Settle-Murphy. 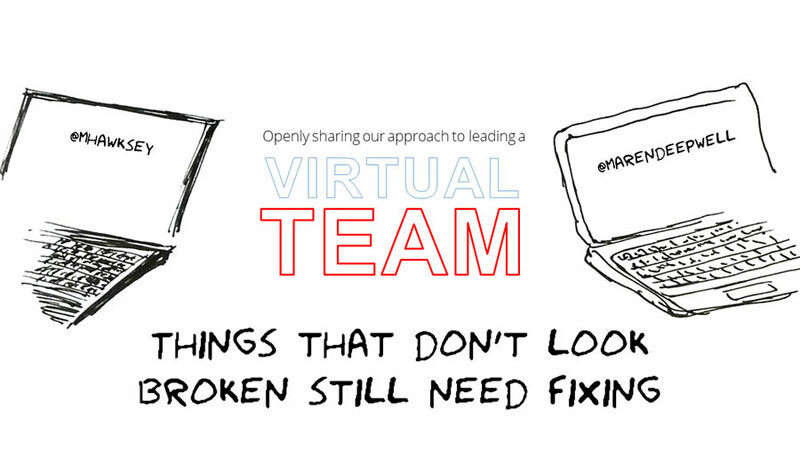 As part of the uniques challenges of virtual teams Settle-Murphy highlights that “it’s harder for team members to tell whether they’re out of alignment about important issues … and once out of alignment, it takes virtual teams much longer to pull back together”. Settle-Murphy goes on to highlight one of the challenges for virtual team leaders is “ensuring that all share the same understanding of team goals”. The modified SWOT approach you mentioned looks like it should help with identifying goals, the issue I see is the timing as we’ve potentially got two new starters joining us after April. In a team of six, two new starters make a big impact and with a high percentage of the team changing it’s going to be interesting times but the timing is good as whilst not a lull it does mean we are not throwing our new starts straight into our Annual Conference. Maren: ever since I took on a leadership role I’ve waited for the right timing for all those things, for the mythical steady state, that blank slate from which to start planning and doing afresh, ideally with all aims clearly defined and understood by everyone. But leading organisations or teams, working with technology and with people is always messy. There’s always history, legacy, mess you inherit, missing pieces of the puzzle and my favourite – the unknown unknowns. Our work is always work in progress. That’s why when you have a moment when things work out, when you achieve something or can enjoy something, it’s worth pausing and revelling in the moment. Send a hug, share a smile, take a breath. And then take that next step towards the inevitable chaos that will no doubt put an end to that peaceful moment. 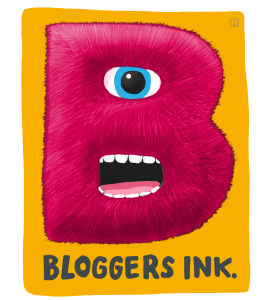 Bloggers Ink. remixed with The Fabulous Remixer Machine.